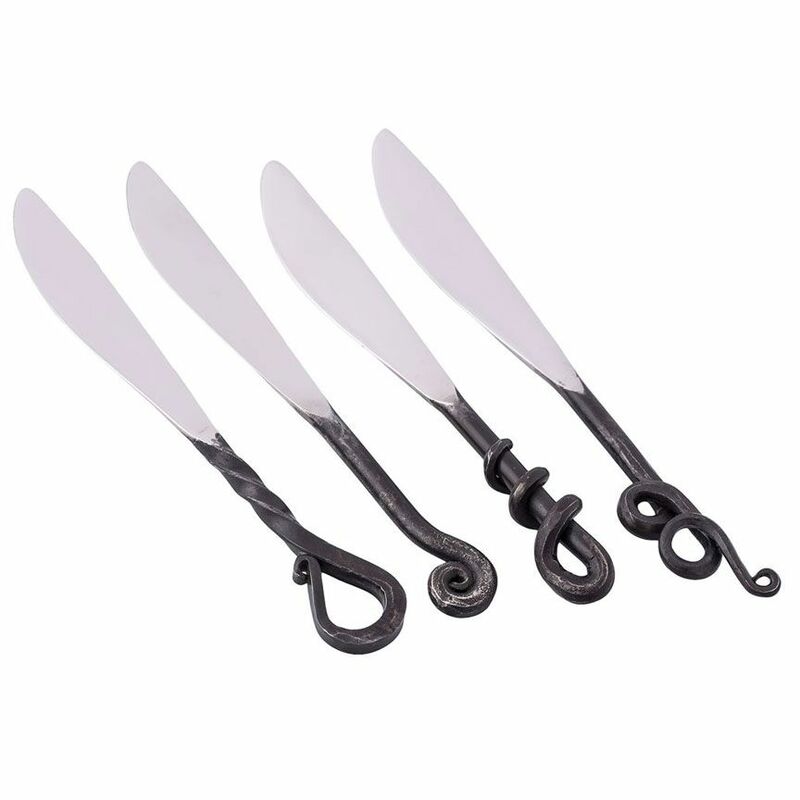 With vintage inspired style and a hand hammered finish, this set of charming and quality cheese knives are a must-have for entertaining. The four different utensils ensure that it can capably handle all types of cheese, making it a great gift for any cheese enthusiast. Their unique forged design looks elegant on any tabletop or buffet setting.